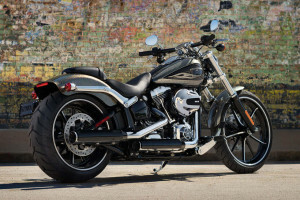 The Harley-Davidson Breakout® is a high-performance drag-style bike that carries the legendary heritage of the Gasser dragster style of the 50s and 60s. 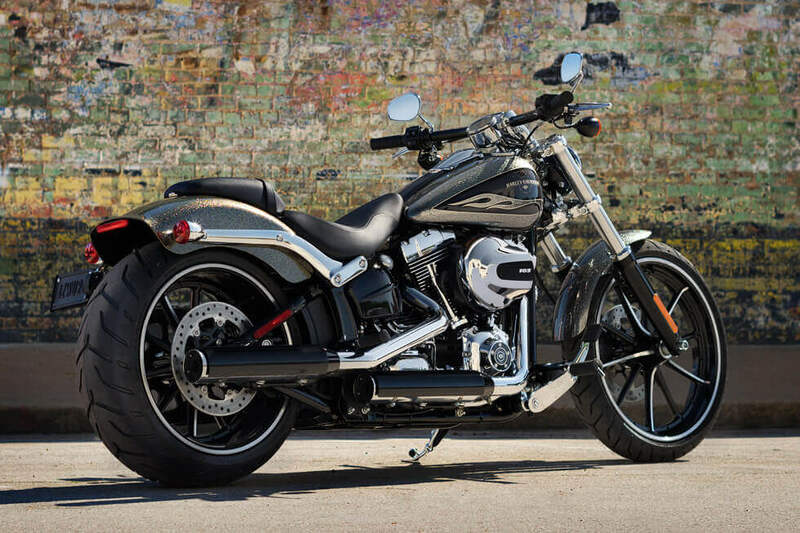 Combining American muscle with classic style, the Breakout® is part of the Harley-Davidson Softail® line, and riders from Los Angeles to Inland Empire, CA can find it right here at Riverside Harley-Davidson! 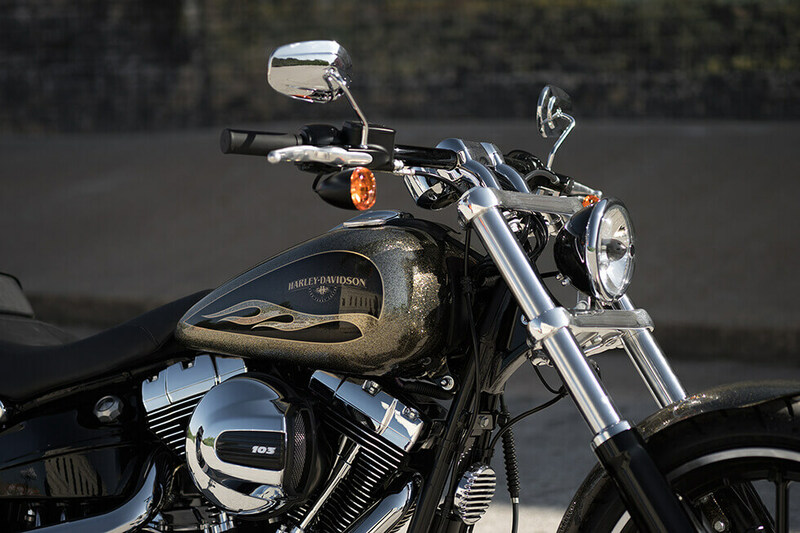 The Breakout® has all of the iconic drag-inspired styling you could ask for. 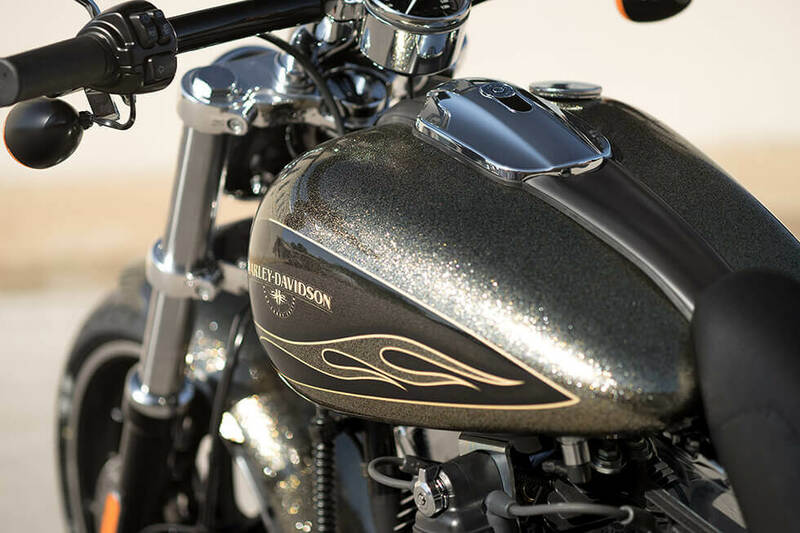 Displaying a long, low profile and sporting premium paint, top quality finishes, and pure Harley-Davidson detailing, this motorcycle has the authentic muscular design of bikes from the glory days of outlaw racers. 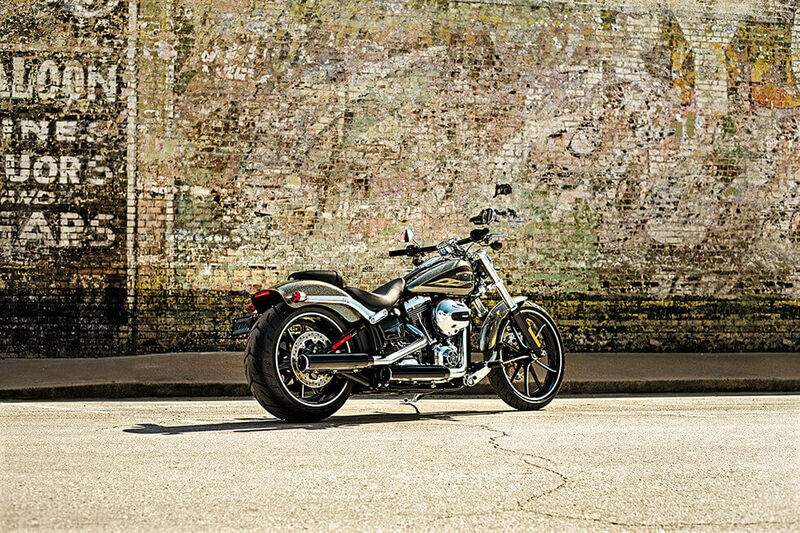 New Classic –Updating the old school Gasser bikes, the new Breakout® features a low, stretched-out frame, big wheels, lots of chrome, and premium paint and graphics. 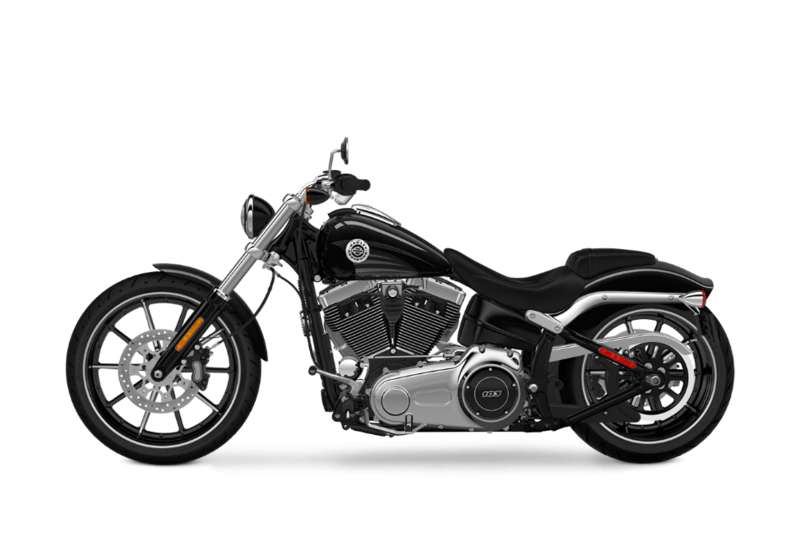 This is a bike that is loaded with attitude and has the big V-Twin power to back it up. Superior Craftsmanship – Meticulous craftsmanship and attention to detail make the Breakout® a real piece of machine art. Premium materials are used throughout, and the top quality paint and finish add a ton of style to the iconic slammed design. 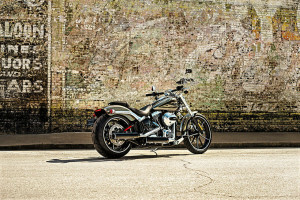 Profile – With its chopped fenders and big wheels, the low-slung Breakout® has a muscular profile befitting its Gasser heritage. 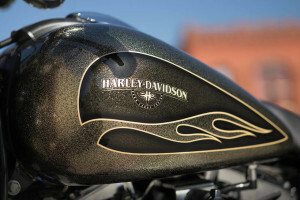 Premium Finish – The finishes are top-rate and really set off the unique gear-shaped, cloisonné-and-chrome style tank medallion. 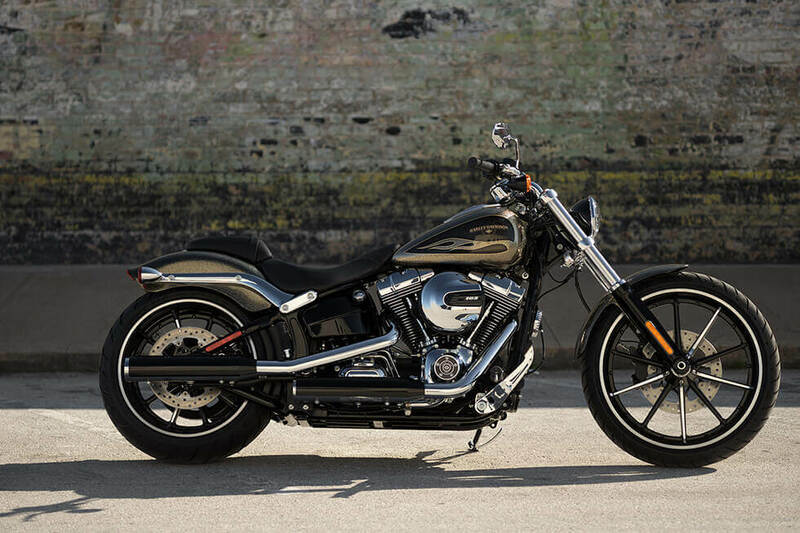 Front End Styling – Up front you get a chopped fender, wide forks, and a big 21-inch, 3.5-inch wide Gasser wheel. We think you’ll agree, that raked-out look is timeless. Gasser Wheels – Special rims were designed for the Breakout®, with Vivid Black and machined finishes on alternating spokes. It’s a contemporary take on the raw, classic dragster look. 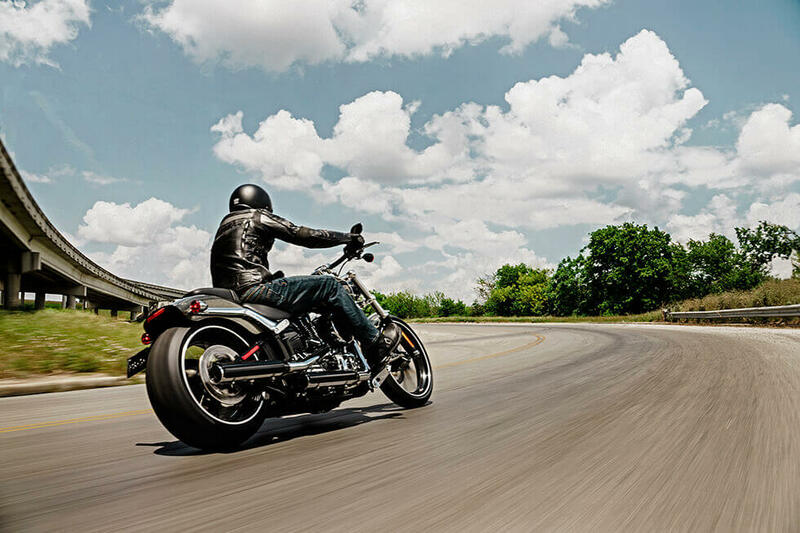 Fat Rear Tire – The Breakout® has the widest rear tire you’ll find in the Harley-Davidson lineup. 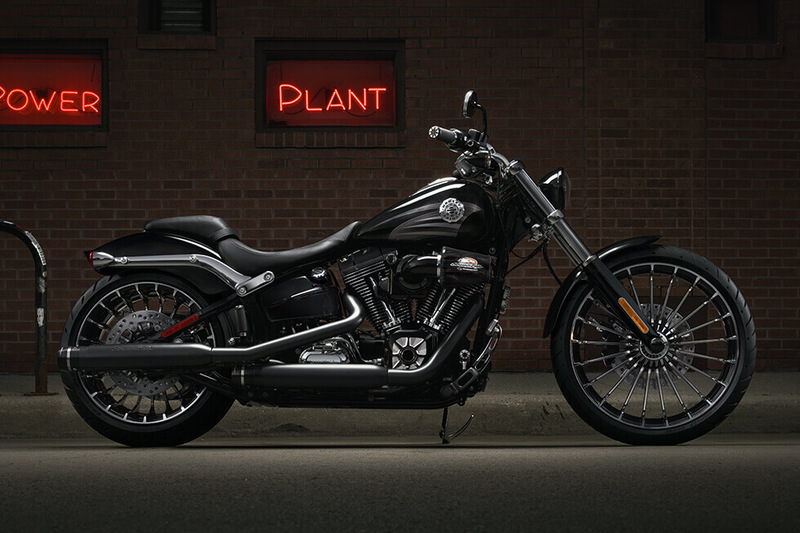 The 18-inch, 240mm tire, along with the Gasser rim, adds a lot to the classic styling. Slammed Console – The tight and distinctive console is strategically placed, adding to the bold custom design. Chopped Fenders – The fenders are chopped at a street legal length, and are crafted from lightweight, high-strength, forged aluminum. We think they really look great riding above those fat tires and Gasser rims. 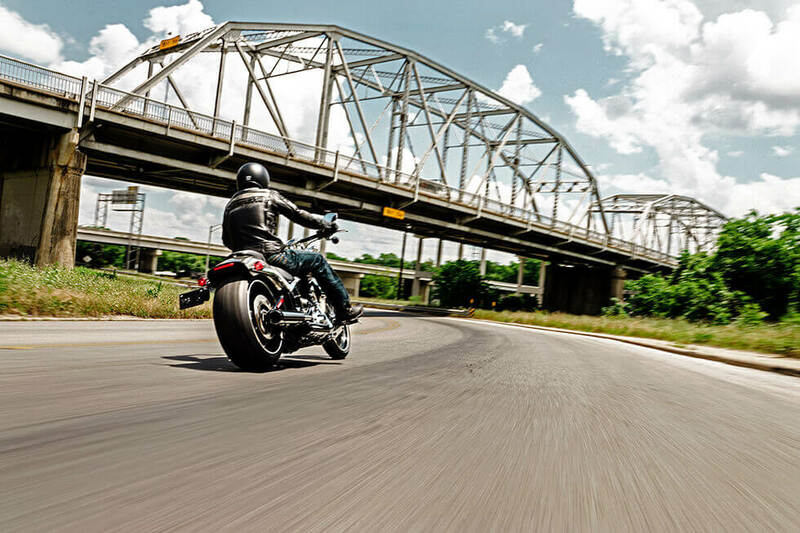 Speedometer – The Breakout® comes with a riser-mounted, 4-inch, digital speedo, that gives you a readout of your mph and also features a gear indicator and fuel gauge. Hard Candy Custom™ Paint – The available Hard Candy Custom™ Black Gold Flake Paint gives the Breakout® a bold and unique custom look that is hard to beat. 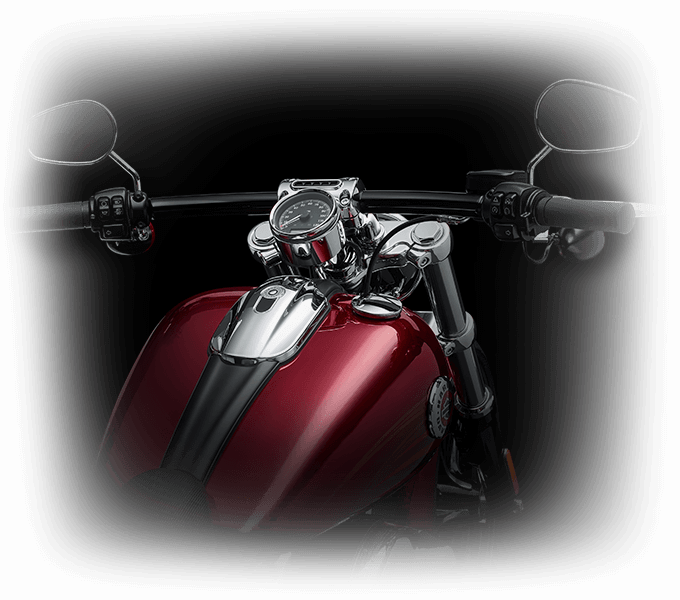 The Breakout® comes with the new High Output Twin Cam 103B™ V-Twin engine that is paired to a Six-Speed Cruise Drive® transmission. This robust powertrain delivers high-performance and smooth shifting for an exhilarating and confident ride. Twin Cam 103B™ V-Twin Engine – Carrying on the lineage of the iconic Panhead, Shovelhead, Knucklehead, Flathead, Evolution®, and Twin Cam 96® engines, the new High Output Twin Cam 103B™ V-Twin is a durable high-performance power source that doesn’t skimp on that authentic Harley-Davidson style. 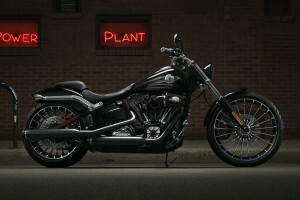 Power – The 103 cubic inch V-Twin features a new airbox design to improve air flow, plus a faster 50-60 mph 5th gear with all the low-end torque you crave. Innovation – New advanced motor tech includes lighter pistons, a reliable driveline, and high-strength internal parts. All of this top line engineering gives you the solid low cruising rpm you want while keeping routine maintenance at a minimum. Styling – The oil tank and mufflers are glossy black, set off by flawless chrome rocker covers and pipes. 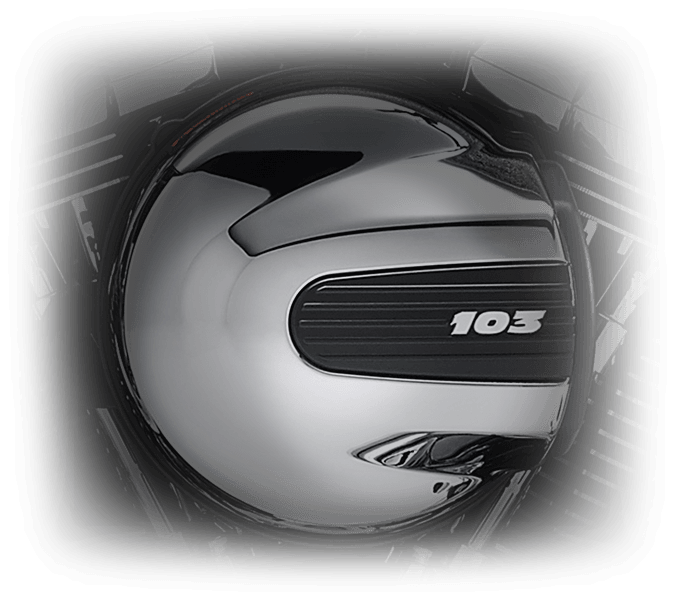 Carefully crafted and loaded with authentic Harley-Davidson style, the Twin Cam 103B™ V-Twin engine is a beauty to behold. 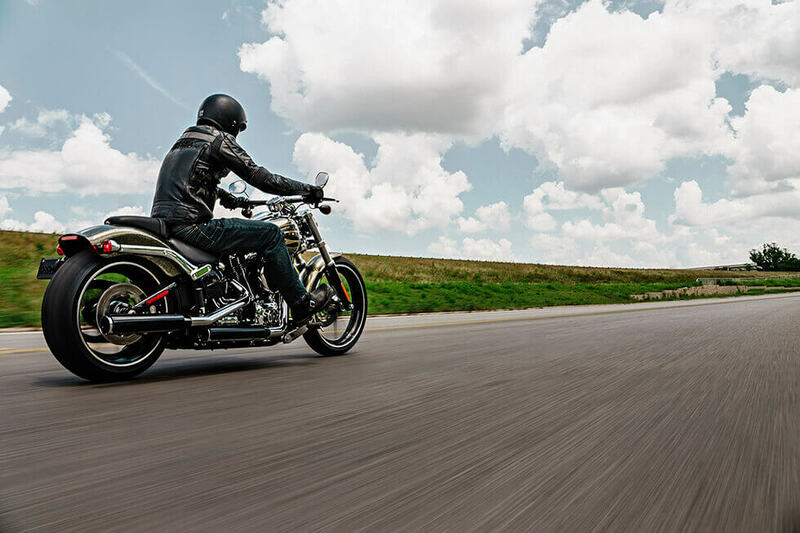 Transmission – Designed to integrate perfectly with the V-Twin mill, the Six-Speed Cruise Drive® transmission delivers the steady and smooth shifting that will enrich your ride wherever your road takes you. 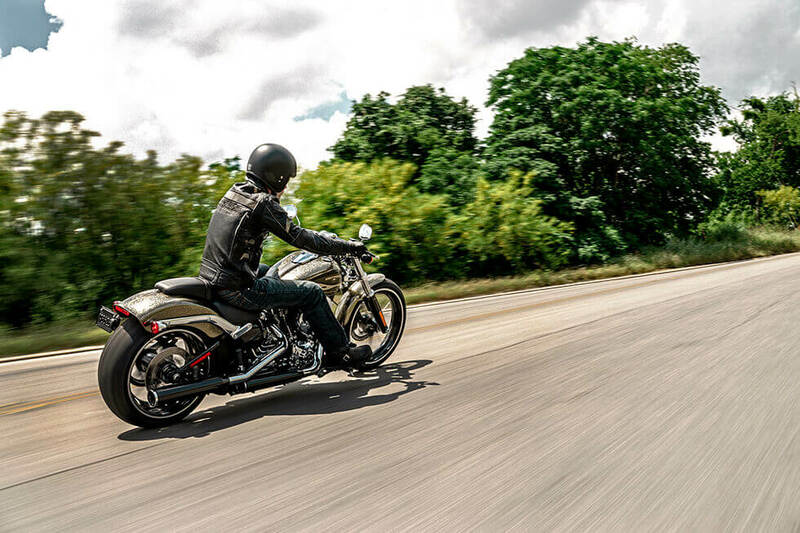 It’s true that the Harley-Davidson Breakout® has lots of classic styling, but it is also packed with modern tech. 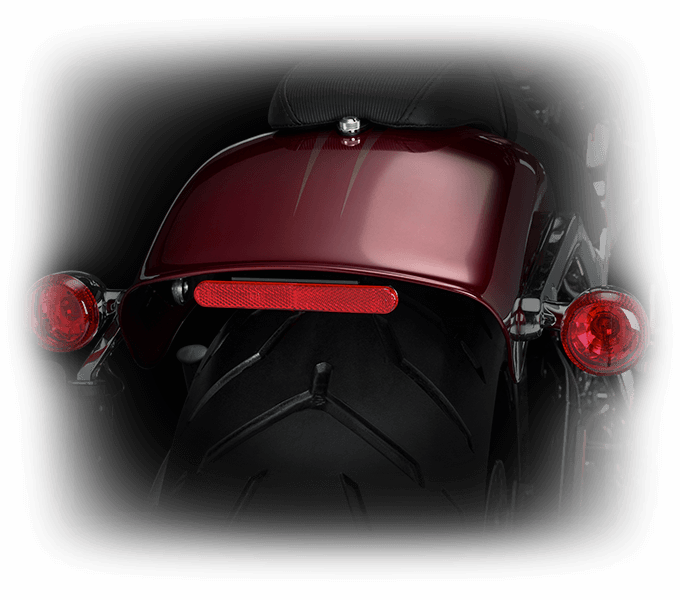 Stop/Turn /Tail Lights – The 3-in-1 stop/turn/tail lamps provide both improved visibility and a clean, chopped-down style. 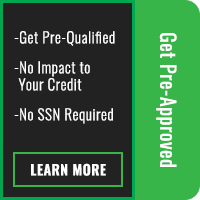 Anti-Lock Brakes – The ABS system adds a high level of all-condition confidence with superior stopping power. 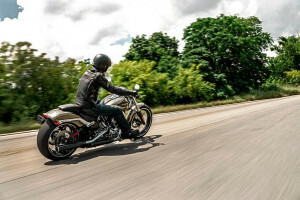 Security System – With the factory-installed H-D® Smart Security System you get a wireless fob that automatically activates the system when you leave the bike and disarms it when you approach. Combining intuitive design elements and the latest technology, the Breakout® provides easy handling and control. 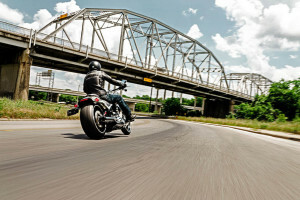 Balanced Suspension – The damped suspension offers a balanced power-to-weight ratio designed to keep your ride smooth on city streets as well as the open highway. Front Brake System – The new front brake system includes a 4-piston fixed caliper with 32mm and 34mm pistons. Premium coating reduces initial displacement, and the big 300mm rotor provides a boost in stopping power while reducing the effort required to engage the brakes. Ergonomic Hand Controls – The Breakout® features ergonomically designed hand controls conveniently positioned to enhance comfort and ease of use. 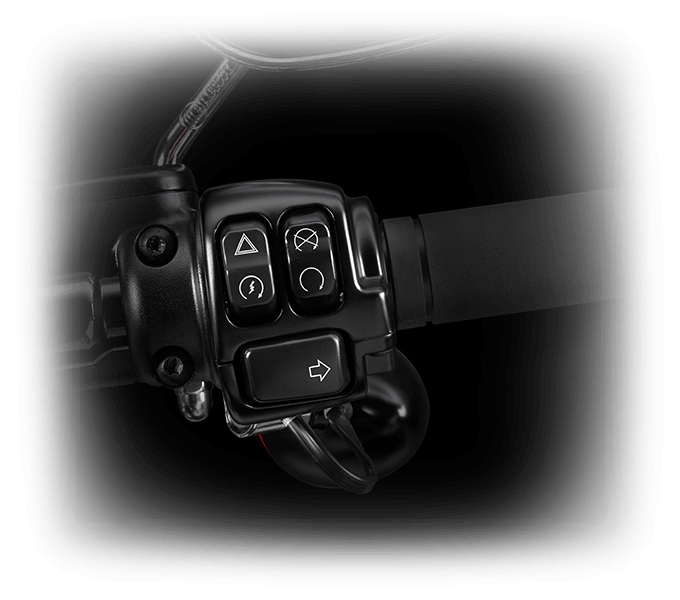 Throttle Control – The new Electronic Throttle Control is more responsive and designed to cut down on the amount of wires cluttering up the handlebar. The Breakout® has been built to give you the most relaxed and comfortable ride possible. 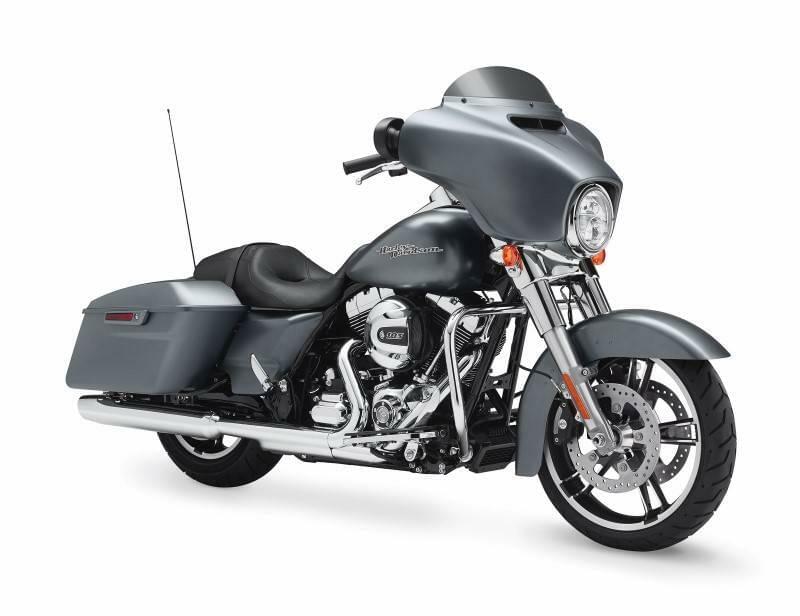 Low Seat – The low bucket, two-piece saddle, and removable rear-pillion help to keep you, and any passenger, in a comfortable riding position. 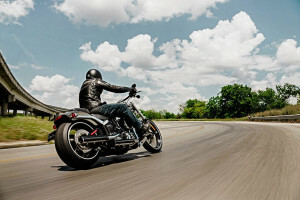 Handlebar – The drag-style handlebar is low and wide, so you can easily settle into a forward-leaning dragster riding posture. The internal wiring keeps the handlebar clean and helps maintain the overall sleek custom styling.